Catch everyone's eye at prom in this outstanding Alyce Paris dress! Style number 60363 has a strapless mikado fabric top with floral embroidery at the waist. 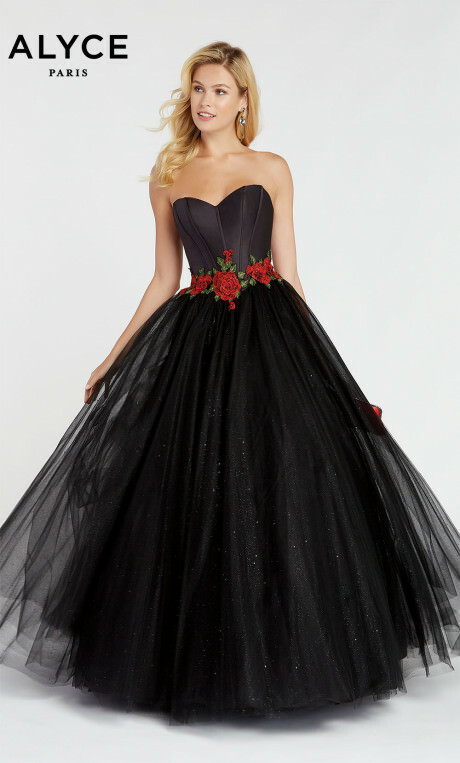 It has a tulle ballgown style skirt with glitter and crystals throughout. Finished off with a corset back, what's not to love about this dress? ?